Home Contests Contests and Freebies Rainy Day Parade at Glorietta! Rainy Day Parade at Glorietta! Show and Tell us - what is your favorite “rainy-day” style here at Glorietta? 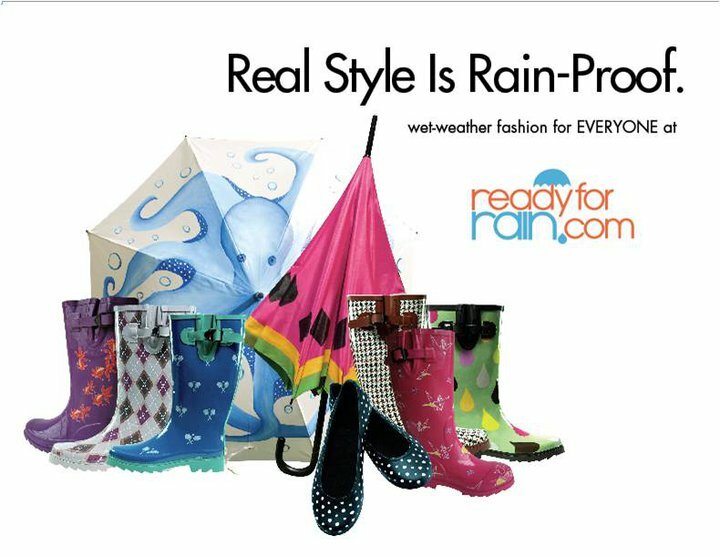 Upload a photo of yourself plus a brief description on your favorite “rainy-day” look and get a chance to win a GC worth P1000 from READYFORRAIN! Two winners will be selected. Each participant must submit one (1) photo of themselves that was taken at Glorietta while wearing their favorite rainy-day style. Describe your style and indicate where in Glorietta was the photo taken. Photo entry can be a solo/group shot provided that one entry name will be submitted. Each participant is only allowed to submit one (1) entry for the entire duration of the contest. Photo entries must be uploaded in the album: Rainy Day Parade on Glorietta Mall's official Facebook Fan Page from Sept 4 to 19, 2010. Winners will be randomly picked. Announcement of the winners will be on Sept. 21, 2010 through Glorietta's official Facebook Fan Page. Neither profanity nor adult-content will be tolerated and will be deemed forfeited and removed from the photo page. All submitted photos will be deemed property of Glorietta.